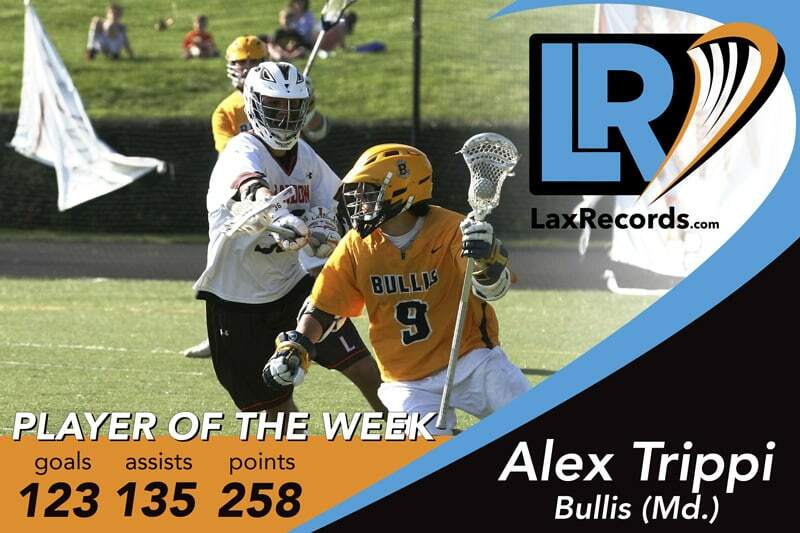 Alex Trippi became Bullis’ all-time leading scorer last week. Trippi became Bullis’ all-time leading scorer with a three assist, one goal game against Bishop Sullivan on March 27. 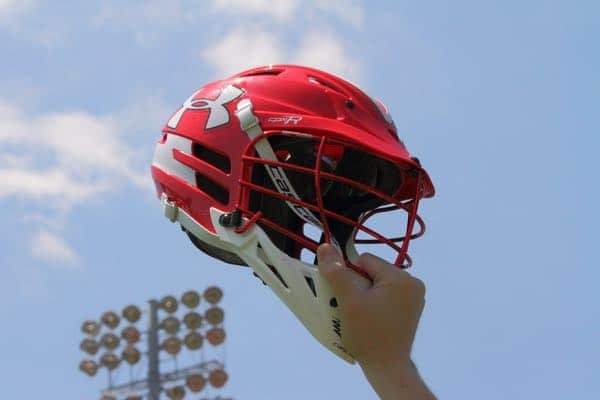 Then the UNC commit amassed nine points on six assists and three goals against Cape Henry (Virginia Beach, Va.) on Tuesday. With those totals, he reached 258 career points, surpassing former Bulldog Mark Davis for the program’s all-time lead. “Seeing the kind of players that I look up to that are playing in college and being able to beat that means a lot to me,” Trippi said. Trippi is doing it this season with a little more attention being paid to him. The Washington post noted that Gonzaga’s Will Rock guarded Trippi last week, but Trippi still managed two goals and two assists in the win over the Purple Eagles. Trippi started his Bullis career with 40 points on 22 assists and 18 goals. His improvement vaulted him into a 76-point sophomore season in which he had 41 assists and 35 goals. His junior year was even better with 106 points (56 goals, 50 assists) in addition to helping Bullis to an IAC championship, and winning US Lacrosse Mid-Atlantic All-American and Washington Post All-Met Player of the Year. The senior finished the week with a six point game in a 24-4 win over DelMar (Md.) on Saturday. Cecere made 21 saves in a 14-6 win over Lassiter (Ga.) on March 28. He continued his hot play with a 15-save performance in a 16-13 win over St. Andrew’s (Fla.) on Friday. The senior scored three goals and three assists to help STA defeat Jupiter (Fla.) 11-10 on March 30. Huber scored five goals to help the Friars to a 14-12 win over Manhasset (N.Y.) on March 28. He followed that up with a three assist, one goal game in a 9-4 win over Greenwich (Conn.) on Saturday. Rueter went 24-for-27 on faceoffs and scooped up 20 ground balls and had one assist in a 13-11 win over Council Rock North (Newtown, Pa.). Sopko totaled 20 points in three games last week, helping the Pioneers to a 4-0 record. The Bucknell commit started the week with 4 goals and two assists against Springfield-Delco (Pa.), then had four goals, four assists against Harriton (Pa.). He capped the week with five goals, one assist in a 14-8 win over North Hunterdon. Trizonis scored three goals, including the game winner, to help the Jaguars defeated Haverford High School (Haverford, Pa.) 8-7 last week.